Thread: Download list of files from server? You could call an URL with directory listing enabled, and then parse the result (html formatted) with a DOM handler for any links in it. My recommendation is that you use a proper server side language to provide the file list in a better format for processing - so you don't need to parse a html page. Whether you call it directly during the page request or through AJAX is all up to you. 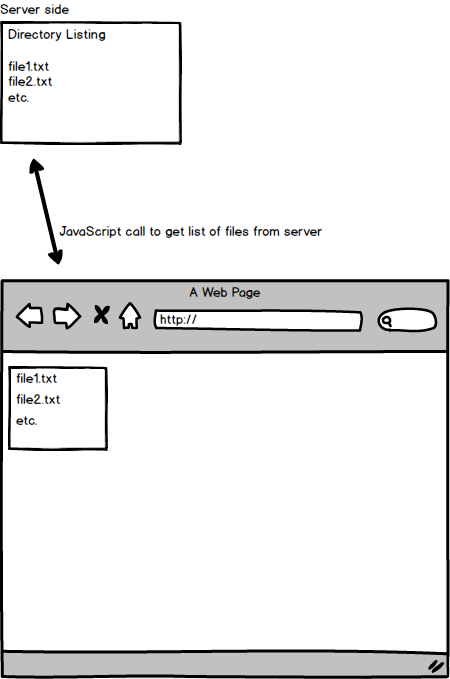 It would (should) be really easy to make a server-side page that outputs a JSON list of the files. Call that with AJAX and render the list however you want.